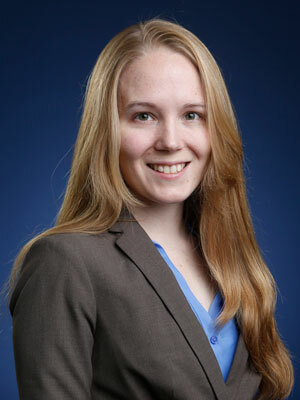 Sarah Miller is an assistant professor of business economics and public policy at the University of Michigan Ross School of Business. Her research focuses on the effects of healthcare policy on consumer credit and financial outcomes. Q. What are the main factors behind the recent dip in insurance enrollments through the Affordable Care Act, and is this a reason for concern? MILLER: Two concerning drivers of low enrollment are the Trump administration’s decision to expand short-term plans that are cheaper but not required to cover pre-existing conditions, and the repeal of the individual mandate. Both of these changes will likely lead healthier consumers to not enroll in marketplace plans, which could in turn increase the average cost of marketplace enrollees and lead to higher premiums in the future. On the other hand, a stronger labor market means at least some of the dip in enrollments may be coming from greater access to employer-sponsored insurance as fewer people are unemployed — which is always a good thing! Q. What do you expect to happen next year with the current lawsuit in which 20 states are challenging parts of the ACA? MILLER: I am not a lawyer, but I don’t expect much to come of it. Q. 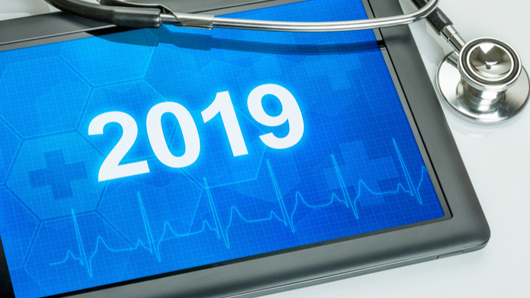 Do you expect new efforts, either legislative, legal, or administrative, to undermine or repeal the ACA in 2019? MILLER: No, I don’t expect any major changes. The Republicans enjoyed campaigning on repealing the ACA when they lacked the power to do so, but now they are grappling with the fact that major changes to the law’s core structure would result in a very politically unpopular drop in insurance coverage. If they were going to enact major changes, they would have already done so. If anything, the Republicans’ bluster against the law has made it more popular than ever! I suspect they are secretly hoping nothing comes of these new lawsuits. Q. Will some sort of “Medicare for All” plan get serious consideration during 2019? MILLER: It may become a popular campaign slogan, but I seriously doubt it will get serious play as an actual public policy unless the Democrats take power in a big way. Q. The U.S. Department of Health and Human Services recently announced that the increase in health spending during 2017 slowed to roughly the same rate as the overall economy, for the first time in several years. Do you expect this to continue with 2018 numbers? MILLER: I would expect 2018 growth to be similar to what we saw in 2017. The recent short-term changes in medical spending growth has been driven by a variety of factors. The most recent slowdown is likely due to a combination of (1) an increasing trend towards value-based purchasing (for example, the “accountable care organizations” developed as part of the ACA); (2) an ever-growing share of generics as a fraction of total drug spending; and (3) a residually lower demand in the private sector from a somewhat sluggish labor market recovery since the last recession. As labor markets tighten up, we might expect demand among privately insured patients to rebound, but the other two factors should keep spending growth low — especially with the recent patent expiry of blockbuster drugs like Crestor and Abilify. Q. What do you expect prescription drug prices to do in the coming year? MILLER: In the short run, I expect them to stay low as generics hold a big fraction of the market. But the United States has an almost endless appetite for new technologies, and over the next few years, I would not be surprised if a new generation of blockbuster drugs hit the market, especially given all of the recent scientific advances in gene therapy.